Hong Kong Airlines has launched a new Business Class menu for customers travelling out of Los Angeles International Airport (LAX). Designed exclusively by celebrity chef and television personality Chris Cosentino, the new LAX Business Class menu is an adaption of his current San Francisco Business Class menu and comes with a slight twist to cater to the preferences of Southern California travellers. Chris Cosentino is the chef and owner of San Francisco restaurant, Cockscomb. He is also a winner of Top Chef Masters, was a contestant on The Next Iron Chef and made an appearance in Iron Chef America. He also raises awareness and funds for Chefs Cycle in support of No Kid Hungry, a national charity fighting to end childhood hunger. Chef Cosentino collaborated with Hong Kong Airlines in late 2017 to design a comprehensive menu of 12 dishes, including a series of appetizers, main courses and desserts to be rotated regularly on the airline's service from San Francisco International Airport (SFO) to Hong Kong. His Business Class inflight menu was officially launched on the SFO inaugural flight to Hong Kong on 25 March 2018 and has received positive feedback from Hong Kong Airlines' customers for his "big in flavour, rich in texture" dishes. 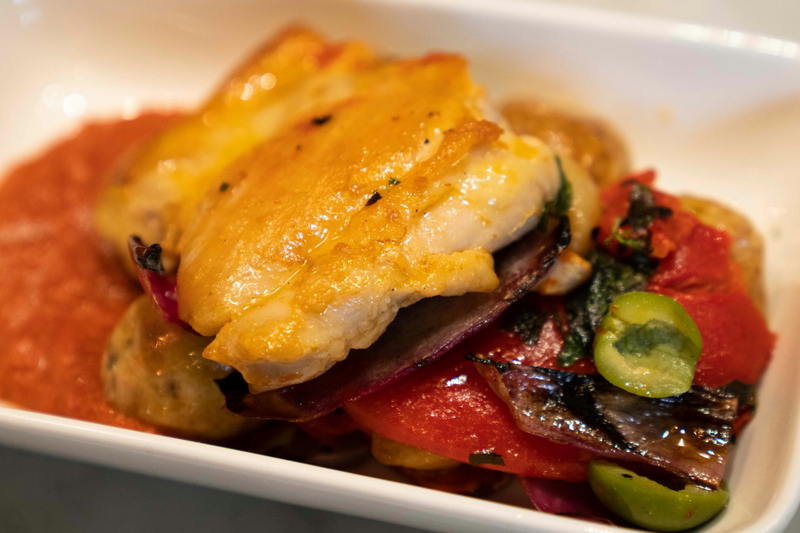 "When the opportunity came for me to work with Hong Kong Airlines to make delicious inflight meals in Business Class, I jumped at the chance," said Chef Cosentino. "Using my years of education and experiences to create meals that would not only satisfy but excite the guests at 10,000 feet up and giving a fresh new approach to what inflight food can be has been a complete joy. Launching our new menu on the Los Angeles-Hong Kong route is very exciting." Hong Kong Airlines' customers travelling from LAX will be treated to Chef Cosentino's refreshing appetizers such as Kohlrabi Caesar, shrimp, Parmesan and sourdough croutons followed by main courses featuring different proteins on rotational basis. They include his take on the traditional recipe of chicken piri piri with Piquillo pepper, potatoes, Castelvetrano olives and oregano (pictured) or red wine braised beef short rib with white bean puree, fennel al Forno, pickled peppers and confit garlic. No meal is complete without dessert and Chef Cosentino's signature panna cotta with strawberries and balsamic vinegar is set to charm Hong Kong Airlines' passengers with its delightful flavours. Mr Chris Birt, Hong Kong Airlines Director of Service Delivery said: "Hong Kong Airlines always strives to deliver the best services to our customers. We launched our menu partnership with Chef Cosentino exactly a year ago on our San Francisco route. His menu has proven to be such a hit with our Business Class customers that we are excited to now bring his signature innovative and creative cuisine to those flying with us from Los Angeles." Hong Kong Airlines' Los Angeles service was launched in December 2017 and was the airline's first destination in the continental United States. The daily service is currently operated by Airbus A350. See latest HD Video Interviews, Podcasts and other news regarding: Hong Kong Airlines, Chef.